This is another recipe I have been making since I was 9 years old, and it turns out great every time…Unless you’re 9 and you keep forgetting ingredients or you accidentally burn it. I swear my mom had so much patience with me when I was first learning to bake. If you have ever had peanut butter bars from the grocery store, these taste like them – only better. 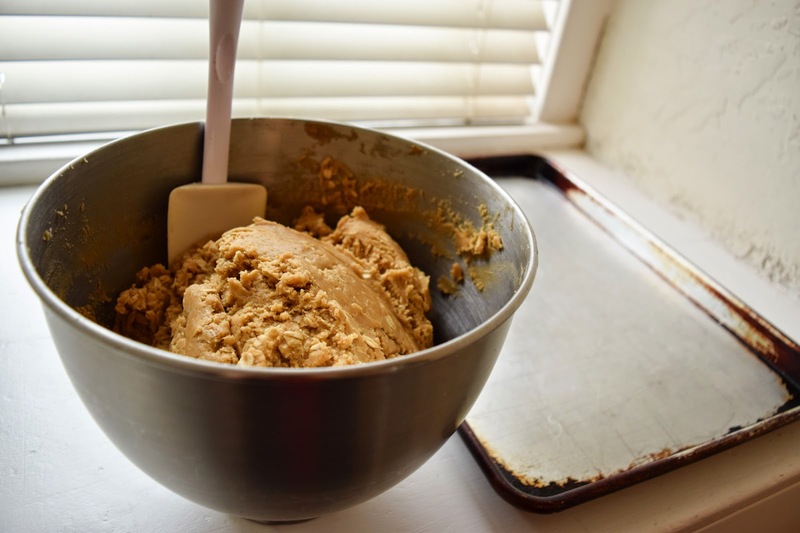 When we make them, we usually end up eating them for breakfast in the morning…They have peanut butter and oatmeal in them – It’s almost healthy! Preheat oven to 325 degrees for 15-20 mins. Cream together butter/margarine, sugar, brown sugar, peanut butter, and eggs. Add the rest of the ingredients to the mixture. 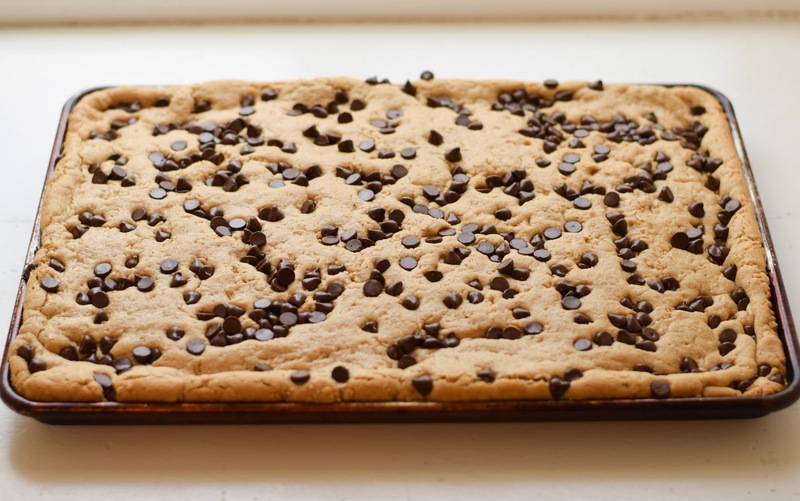 Spread in a 12×18 inch cookie sheet. 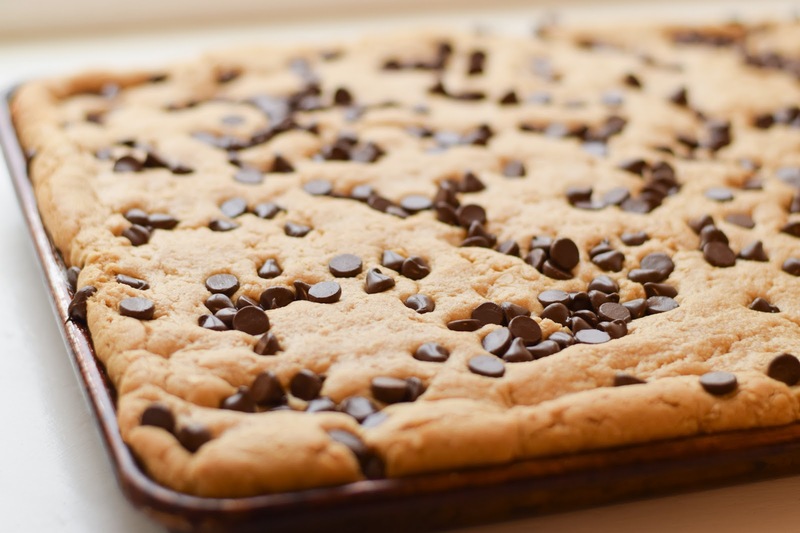 Chocolate chips can be added before being put in the oven or added afterwards. I'm so glad you still use that recipe book! 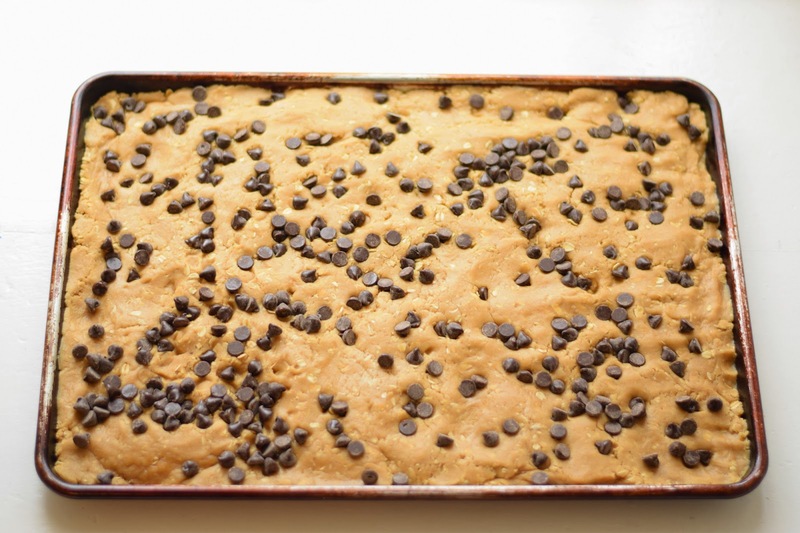 Peanut butter bars are one of my favorites. 🙂 I haven't tried them with frosting yet, but I should!